Stacy Horn » Blog Archive » What is Popeye’s? My friends pointed out that there’s a Popeye’s next to my gym and how messed up is that? First, what is a Popeye’s, and second, I never actually noticed what’s next to my gym. So, this morning I looked. Yup, there’s a thing called Popeye’s, and they sell fried chicken. 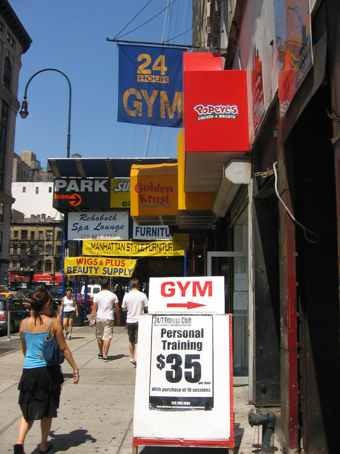 My gym is on 14th Street, and 14th Street as you can see is not pretty. So yeah, I went to the gym this morning. It was all I could do to work up the energy so I’m not doing another thing today.